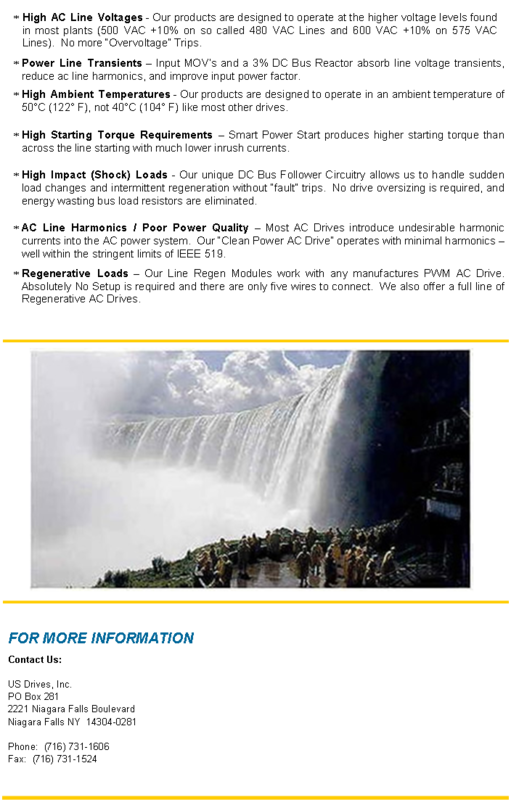 US Drives is a manufacturer of Digital AC Drives and AC Line Regeneration Modules located in Niagara Falls, New York. Our products are designed to easily handle the tough applications and difficult operating conditions that cause most other AC drive products to trip or fail. 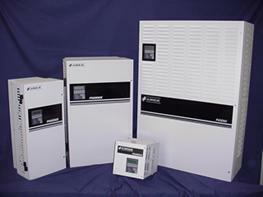 Our Phoenix AC Drive Control has been hailed as one of the most reliable products in the industry.